Garden visiting is a growing trend the world over and here in England we have more than our fair share of gardens to visit. 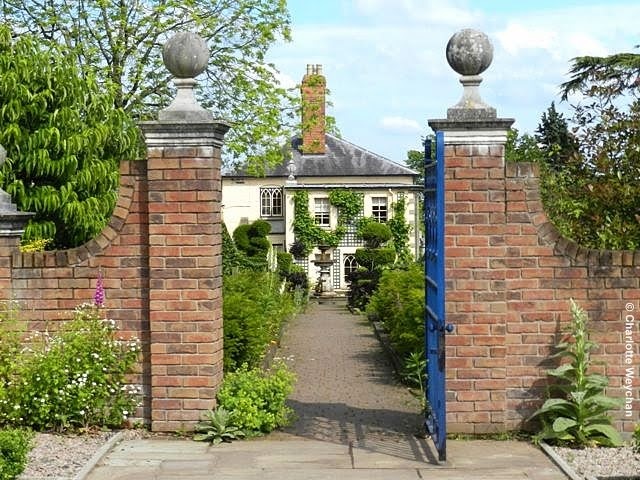 But there are some properties that should go on every person’s “Wish List” and for me The Laskett in Herefordshire is one of these. It is not only the largest private formal garden to be created in England since the end of the World War II – no mean feat when you consider that this four-acre plot was nothing more than a windswept field in 1973, but it is also the remarkable story of a long and enduring marriage between two of the most colourful figures on the UK arts scene during the latter half of the 20th century. 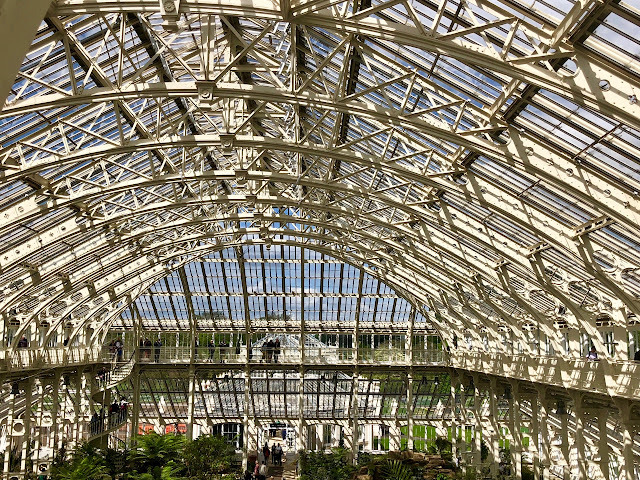 Sir Roy Strong, eminent historian and former director of both the National Portrait Gallery and the Victoria & Albert Museum and his late wife, Julia Trevelyan Oman, the celebrated theatre-set designer, created The Laskett. But it is so much more than a garden; it is also a portrait of their marriage and celebrates many of the landmarks of their distinguished and varied careers within the Arts. The couple moved here from London and created this garden together. And since Julia died in 2003, Sir Roy has had the courage to open the garden to the public on a regular basis and make some radical changes. The Laskett has been both praised and criticised and was, for a time, at the heart of an offensive by another local garden writer and maker, Anne Wareham, who opens her own Veddw to the public. But it would be a sad world if people did not say what they think. Garden visiting is entirely subjective and what pleases one eye is unlikely to appeal to another. There are many similarities between The Laskett and Veddw - both were created from nothing, on small budgets; both rely heavily on hedging to give them structure; both are unique and highly theatrical; and the cast of characters involved in each one are both strong and interesting. 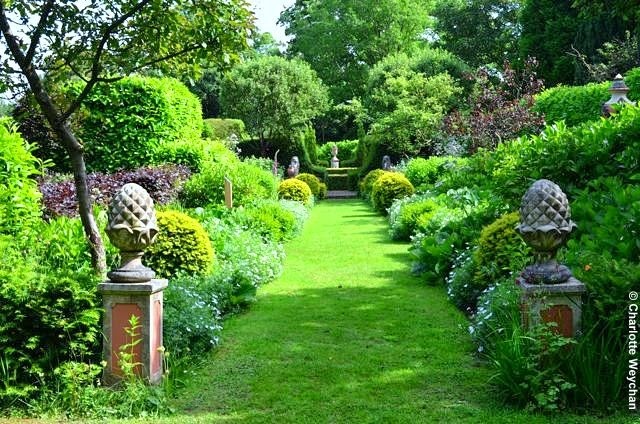 I like both gardens and have no hesitation in recommending The Laskett to those who are interested in unusual gardens. 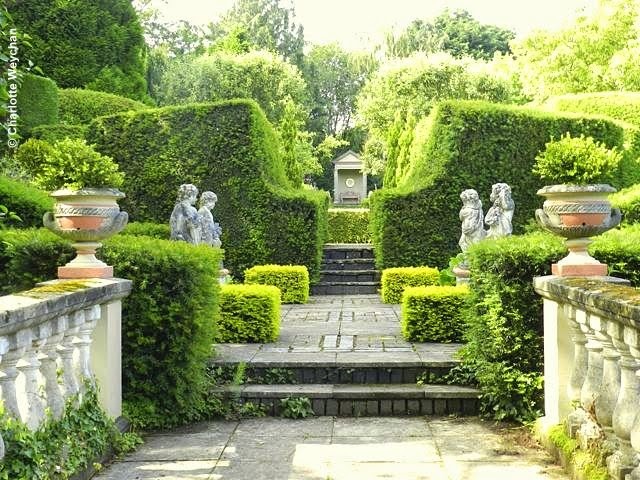 For me, it is reminiscent of two other truly remarkable gardens – Little Sparta in Scotland and Plas Brondanw in Wales – both in terms of its originality and allegorical importance. 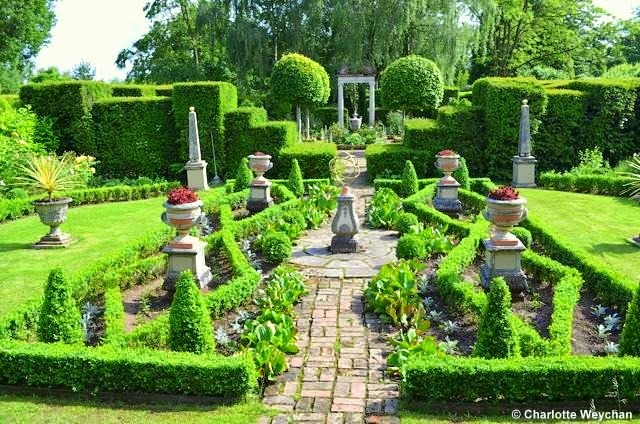 This garden is a portrait of the 32-year partnership between Sir Roy and his wife Julia and celebrates many of the landmarks of their distinguished careers in the Arts. It is both eccentric and interesting and you will find something different at every corner you turn. This is not a garden for the feint-hearted. It is largely green, very theatrical and to truly comprehend you need to plug into the exciting new audio system that’s been installed here. Then the story behind it will unfold and you will see The Laskett with new eyes. 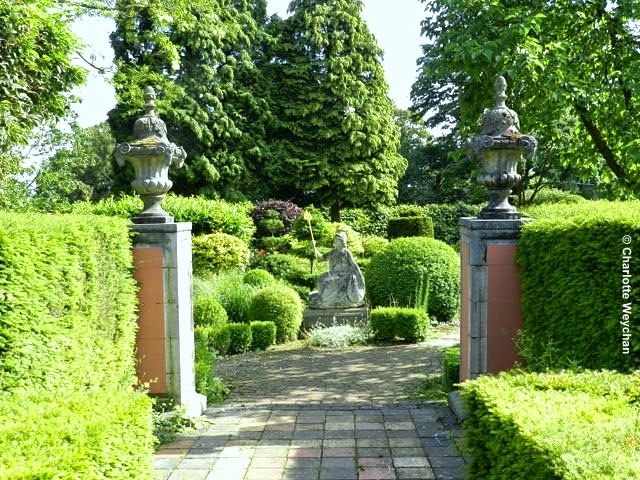 Sir Roy Strong has had the courage to open his eyes afresh and in the last five years, has embarked on an ambitious renovation and revival of the garden that has involved a lot of chopping back, digging out and starting again in areas that had become dark and difficult to manage. 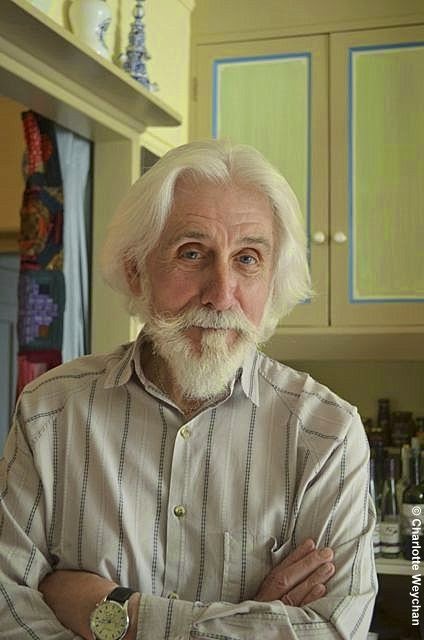 He is the first to admit there is still a long way to go, but he is also honest about his limitations and says he has never been a plantsman - it was Julia who knew what to plant and how to go about it. The changes began in 2005, when Sir Roy realised he needed to move on and adapt to his new life alone. 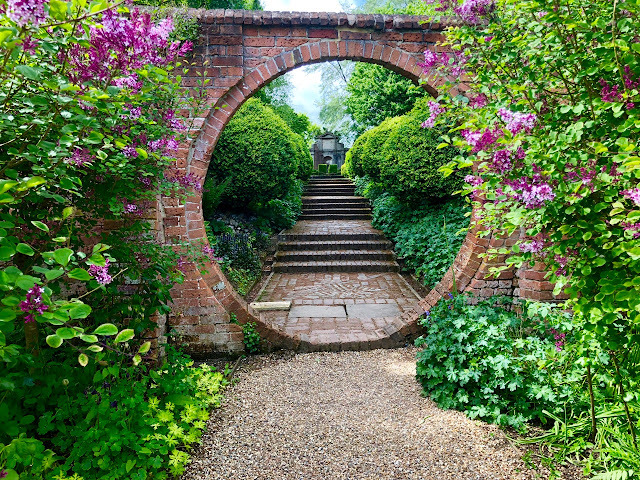 He gives a candid account of this in his new book, 'Remaking a Garden: The Laskett Transformed' -lavishly illustrated with Clive Boursnell’s images of both the garden as work progressed and the cast of characters involved. Today, he works closely with his two gardeners, and has written a remarkable account of recreating The Laskett in his new book: "Remaking a Garden: The Laskett Transformed". As part of his determination to recreate both himself and his garden, Sir Roy has taken the brave step of opening his garden to the public on a regular basis. Groups of 20 or more are now welcome to visit during the week. To arrange this, go to The Laskett website and fill in the details. I savoured my recent visit and was delighted to have the chance to meet with a smiling Sir Roy, who has recreated his own life as well as his garden. He is enjoying sharing The Laskett with visitors and says: “I can truthfully write that even if the garden were razed to the ground tomorrow, nothing can detract from the happiness it has given me and those who work with me. It is an added delight that we have been able to provide pleasure to so many”. To order Remaking a Garden: The Laskett Transformed at the discounted price of £24.00 including p&p* (RRP: £30.00), telephone 01903 828503 or email mailorders@lbsltd.co.uk and quote the offer code APG146. I like it, it is a wonderful garden. Interesting to hear, that it is borne with a small budget. Good post and wonderful photos. I went on a very hot afternoon so my photos were sun bleached. I love the allegorical nature of the garden for me it is very biographical and why not. Part of the charm of The Laskett is that it is so unusual because it has a story to tell - glad that you enjoyed it too. What a delightful way to spend an afternoon. A real treat for the eyes and soul. Beautiful garden & such a poignant story!